You have your two pieces of fabric pinned together? Let’s get started. 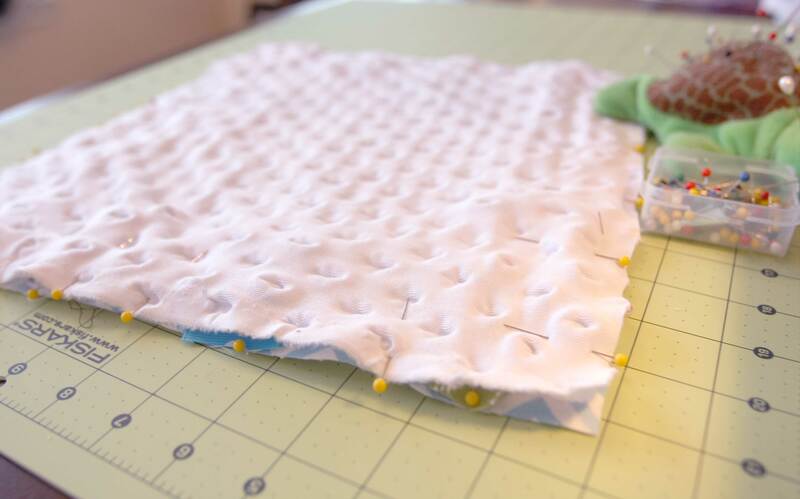 After taking my first sewing class, I learned I was pinning my fabric the wrong way. 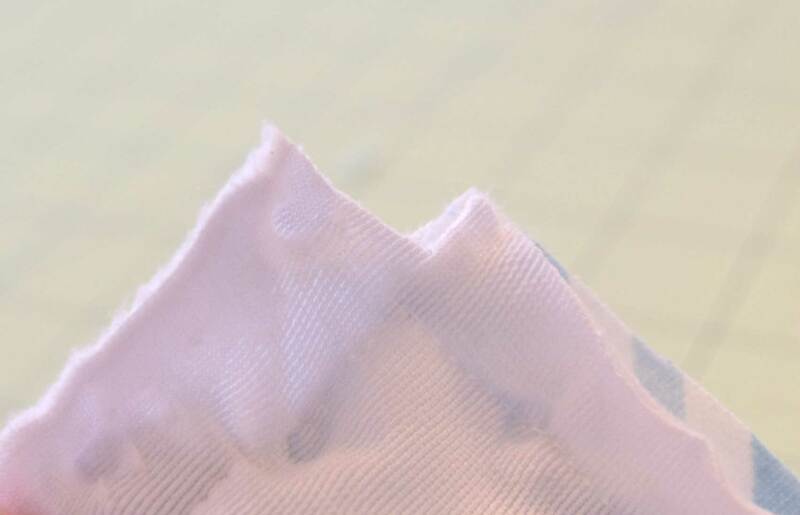 Having the pin heads point outside of the fabric makes them easier to pull out. I also added a few new tags to add some variety to the first pinning. 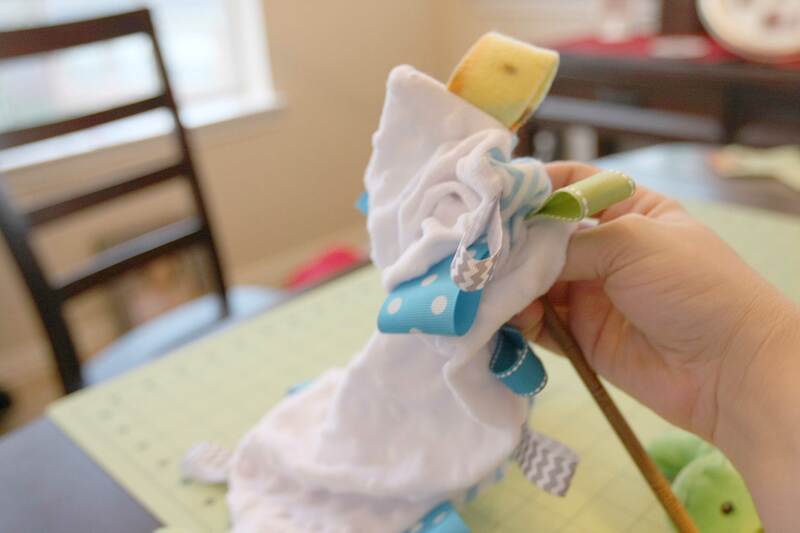 Thats the cool thing about this…you can change your mind about ribbons and fabric until this stage. 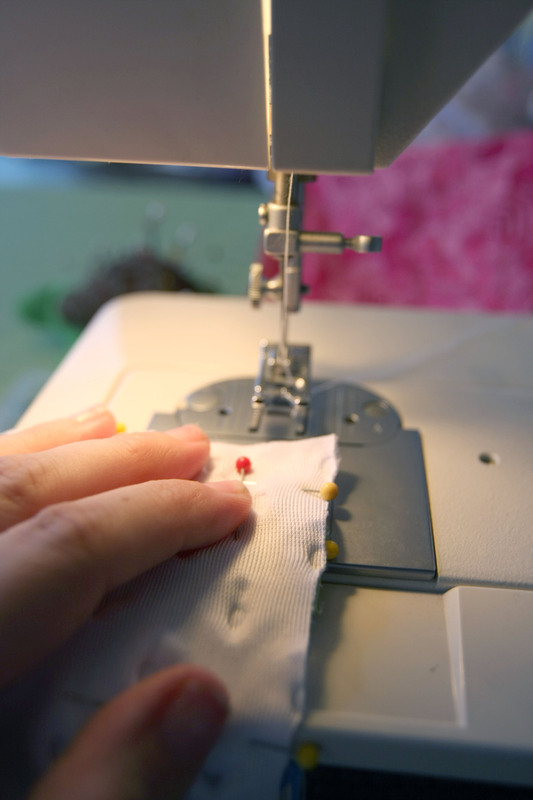 Ok, thread your sewing machine with a matching thread. I used white. 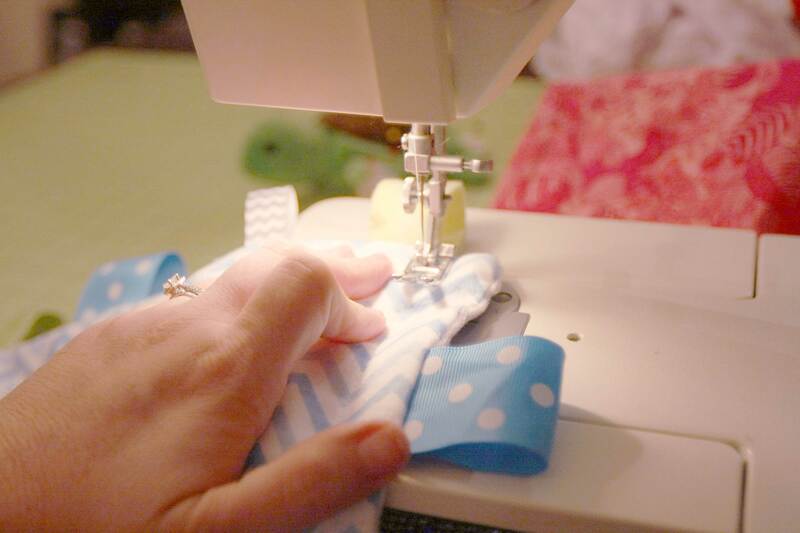 Sew the first three sides all the way. On the forth side, stop sewing in the middle. Lock the stitch. You need the hole so that you can turn the taggie inside out. I cut a V shape out of each corner for smooth corners. Then, I turned my taggie inside out through the hole I left open. I used a chopstick to push out the corners. Repin the open hole and tag. 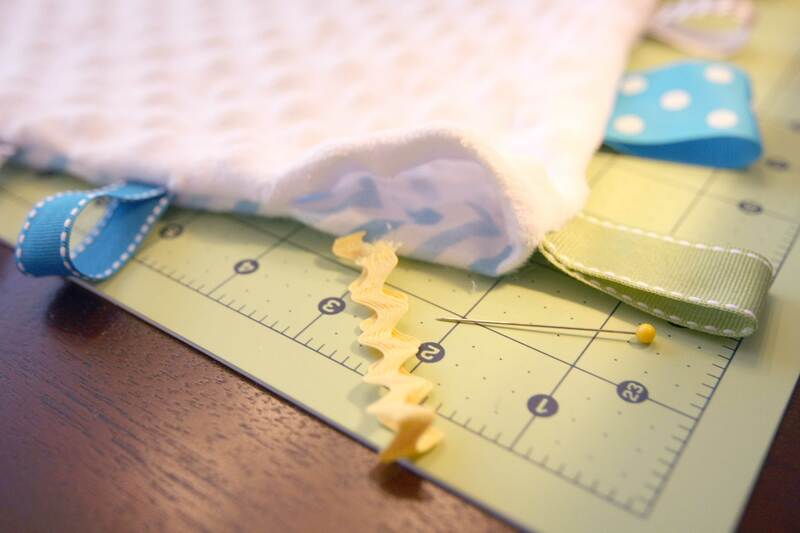 Sew a topstitch around the entire square. Voila! 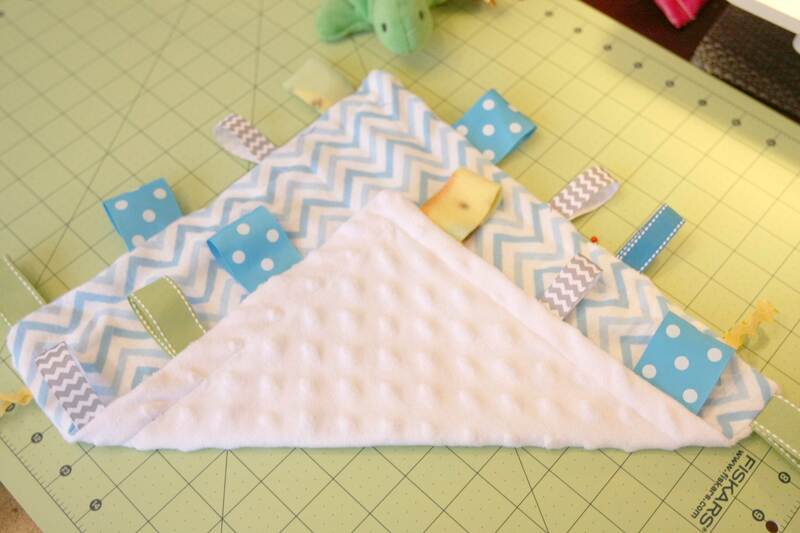 You will have a baby taggie that is cute for a gift basket or for your own baby at home.